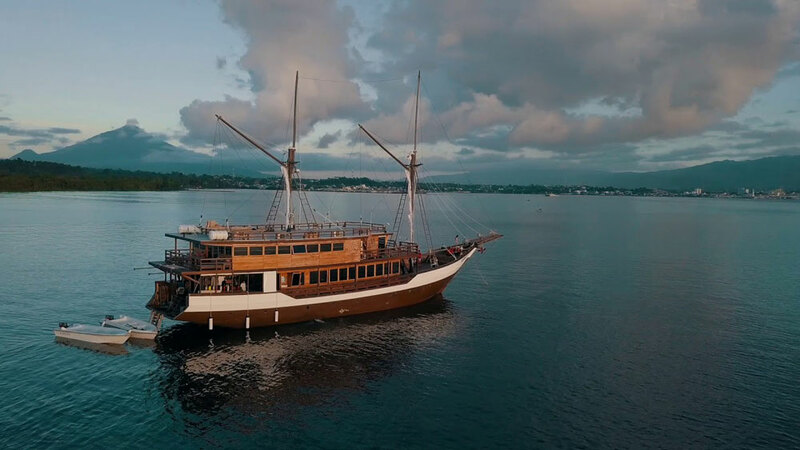 overnight generic cialis Kireina Liveaboard in Indonesia is a newly built (2017) traditional wooden vessel that offers private cruises around the waters of Indonesia for up to 12 guests for both diving and relaxation. At 33.5 m in length, she provides plenty of space for relaxation and is built to a high standard with comfort and safety in mind. There are seven cabins on board all with en suite bathrooms and climate control. The VIP upper deck has a private, covered balcony with seating and a fantastic view. The lower and upper deck cabins are a mixture of double and twin side by side set up. There is an indoor saloon area with an entertainment system and comfortable seating. This is combined with a dining area, and there are large picture windows. Outside there are many relaxation areas with an outdoor lounge with tables and sofas, plus a comfortable bean bag seating area at the stern.